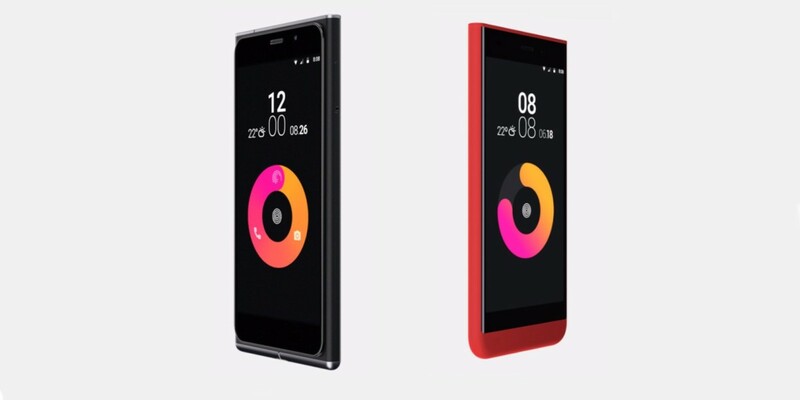 John Sculley, who headed Apple for a decade starting in 1983, has launched Obi Worldphone, a new smartphone brand that’s aimed at emerging markets. The company has announced two mid-range Android handsets that are set to be released later this year. The phones are designed by Ammunition, a studio based in San Francisco and founded by former Apple industrial design director Robert Brunner. The flagship dual-SIM 4G-capable SF1 features an elevated 5-inch 1080p display that’s protected by Gorilla Glass 4. It’s powered by a 64-bit Snapdragon 615 processor coupled with an Adreno 405 GPU. The SF1 comes with your choice of 32GB storage and 3GB RAM ($249) or 16GB of space with 2GB RAM ($199). A microSD slot allows for up to 64GB more room. The SF1 has a 13-megapixel rear camera that snaps two photos — one with flash and another without — to create balanced shots. A 5-megapixel camera graces the front, while a 3,000mAh battery with ‘Quick Charge 1.0’ keeps the device humming. The lower-end $129 SJ1.5 has a 5-inch 720p display with Gorilla Glass 3 on top, and runs on a MediaTek 1.3 GHz quad-core processor. It comes with 16GB of onboard memory and 1GB RAM, and supports microSD cards of up to 32GB. The rear camera shoots 8-megapixel images while the front snapper manages 5-megapixel shots. Both devices run Obi Lifespeed, a custom UI built on top of Android 5.1 Lollipop. Obi Worldphone isn’t exactly a brand new company. It actually began operations in 2014 as Obi Mobiles, when it attempted to sell phones sourced from China in markets like India and the UAE. A lack of differentiation and a generally poor product saw the brand shut down its business in India earlier this year. The phones will be available from October onwards in Vietnam, Indonesia, Thailand, the UAE, Saudi Arabia, Kenya, Nigeria, Tanzania, South Africa, Pakistan, Turkey and India. I’ll be interested to see if Obi’s bold designs help it gain a foothold in the competitive markets it’s eyeing across Asia and Africa, where it will square off with the likes of Xiaomi, Honor and Motorola.